Rachel Harris is a postgraduate researcher in Neuroscience in the School of Clinical Sciences. She helped coordinate the Bath & Bristol Science Film Festival, and organised the Bristol Neuroscience Festival, and is an active supporter of the city’s Neuroscience-related activities. 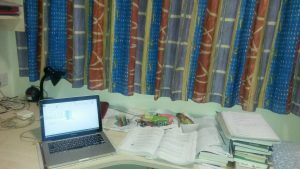 As part of our Tried & Tested campaign, she spoke to us about the benefits of organising a PhD symposium and what her experiences doing so have taught her. Check out more of her musings on her blog, and follow her on twitter at @NeuroRach. 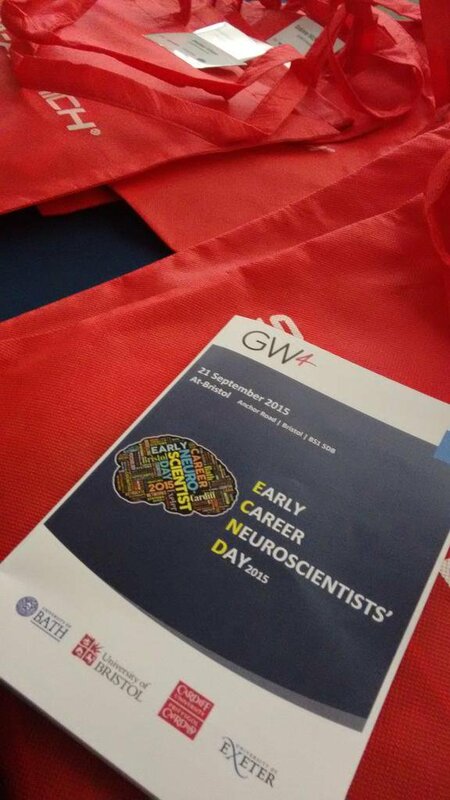 Last year I helped organise the first GW4 Early Career Neuroscientist Day. I didn’t have any experience organising an academic event but I was keen to help bring together neuroscience PhDs and postdocs from a range of disciplines and universities. There were many roles available, from selecting and contacting speakers to choosing a venue and drumming up sponsorship. I took up a role on the scientific committee along with a team comprising of members from the other GW4 Universities (Bath, Cardiff and Exeter). A huge number of abstracts were submitted and it was really interesting see what stood out from the pack when we were selecting talks. It’s definitely something I think about when I come to write abstracts now. The team for this symposium were all really committed and we communicated by combination of emails, calls and face to face meetings. The programme was developed over several months and it was rewarding to hear about progress from other members of the committee and see the event come together. On the day the committee helped prepare the venue and greet attendees and speakers. Members of the scientific committee also hosted scientific symposia which included introducing speakers, managing questions, and dealing with any technical issues! Check out the highlights from the day on Storify. I’d recommend getting involved in organising a symposium. It’s a great way to meet other people from within your university as well in other institutions. It didn’t take up a huge amount of my time, but I still felt like I’d helped shape a successful day. As a result of working on this event I now manage Bristol Neuroscience social media and helped out with the Bristol Neuroscience Festival, so you never know where things will lead. I’m also looking forward to this year’s symposium as I know the effort that goes in to making it work. GW4 Early Career Neuroscientists’ Day is looking for volunteers to help coordinate the 2016/17 event in Cardiff. Email you expression of interest to Catherine Brown (catherine.brown@bristol.ac.uk) by July 18th.